Sod delivery and installation in Minneola are easy when you work with Ground Source! When you work with Ground Source, you will not have the stress of dealing with sod delivery and installation at your Minneola home. If you were to do this yourself, you would need to coordinate a delivery method which may consist of you renting a truck as well as where you will be getting the sod from. Not to mention watching videos on the best way to install the sod. Ground Source will take care of everything from start to finish, and they offer guarantees on their product and work. In addition to this, they also offer irrigation installation which will allow you to water your new turf efficiently. If you have an existing irrigation system, they can update it to ensure all zones reach your lawn so that it is fully watered. Empire – This type of sod is dense and has a blue-green color and is drought resistant. It does better in full sunlight instead of the shade. Jamur – This type of sod has a blue-green color and does well in high traffic areas. It does well in moderate shade. 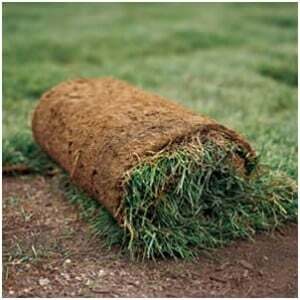 Floratam – This type of sod is thick and deep-rooted. It requires at least 6 hours of direct sunlight a day to thrive and involves a lot of maintenance. Bitterblue – This type of sod has a blue-green color and is considered a grass that does well in the shade. Seville – This type of sod is similar to Bitterblue, but it is slower growing and does well in the shade. Palmetto – This type of sod is dark green is slow growing and thrives in the shade. Captiva – This type of sod is very dense and only needs two hours of sunlight a day to succeed. Artificial Turf – This is synthetic grass that does not require any maintenance. It is long-lasting, looks natural, and eco-friendly. Argentine Bahia – This type of sod can grow in infertile soil with very little water. Celebration Bermuda – This type of sod is dark green and excellent for high traffic areas. Tifway 419 – This type of sod is intended for high traffic areas such as golf courses and playgrounds. Ground Source prides themselves on offering the freshest sod possible. They cut the sod fresh the day they deliver it, so there are not any problems. If the sod is cut too early, then it can become dried out and die. Once you decide which type of grass will work best for your lawn, Ground Source will come out and prepare your lawn for the new sod. This will consist of getting rid of your current weeds/grass and then grading and preparing the ground for the new sod. If desired, this is when they will also either install or upgrade your irrigation system. They will then professionally install the sod so that it looks fantastic. Once the sod has been installed, they will provide you with instructions on how to take care of it. For example, how often it needs to be watered, mowed, and fertilized. This is all dependent on the type of sod you choose to have installed in your yard. 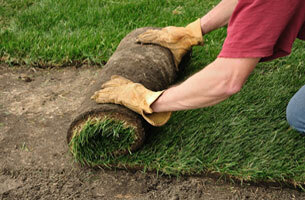 Ground Source takes pride in the sod they provide as well as their work, so they offer a 30-day warranty on it. They can also come out and service your lawn by offering fertilizer, herbicide, and pesticide treatments to keep your new sod in excellent condition. So, if you want to upgrade the sod in your yard, you should contact Ground Source today to discuss your sod type, delivery, and installation options.